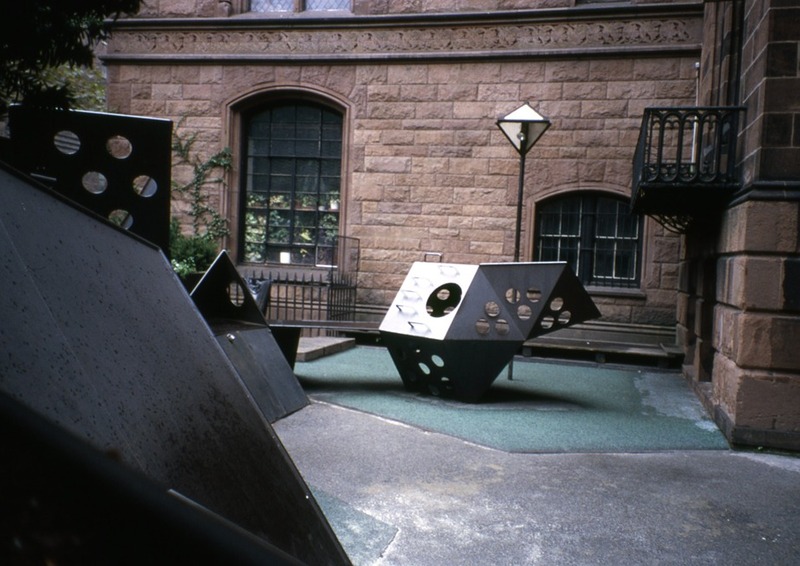 St George's Play Yard is a striking playground designed by David Arons in 1967. It is the antithesis to the contemporary playground in that it is made entirely from sheets of steel with sharp edges and hard surfaces. Playgrounds like these question why some sites can still offer a challenging and interesting design for children to play on and also creating more diverse streetscapes while most playscape design is tempered by the prevalent fear of litigation and obsessions with safety.